This is a simple 4 ingredient smoothie that tastes like a milkshake! The smoothie challenge is in full swing and out of the 20 days I hope to have a smoothie in December, I am now at 3/3. Normally when I make smoothies I put some spinach, fruit, and liquid in. 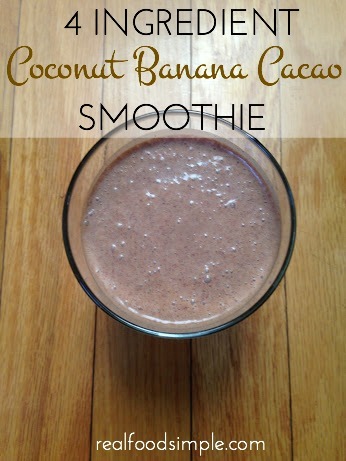 But then I saw a cacao smoothie from Real Fit Real Food Mom on Instagram. Since I had pretty much all the ingredients I decided to try something similar. This was so yummy. And I put it in the fridge for a while while I ran an errand, when I came back it was thick and creamy like a milkshake. So good. In your nutribullet or blender, blend all ingredients until smooth and creamy! 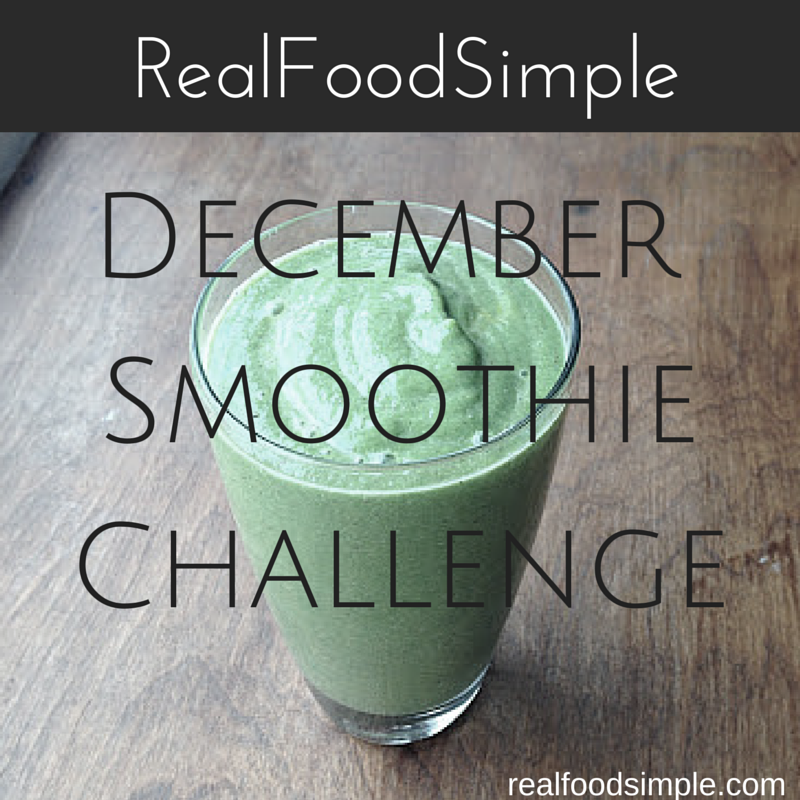 Are you taking the Real Food Simple December Smoothie Challenge? 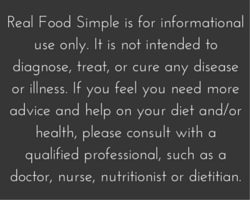 *all ingredient amounts are approximate. That is what is great about smoothies. 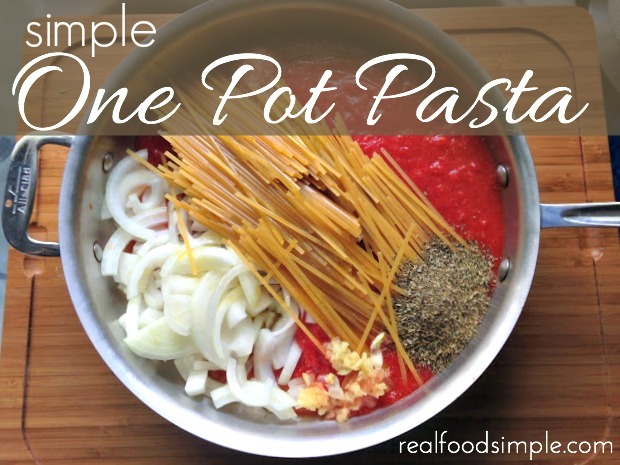 You don't have to have perfect measurements for them. 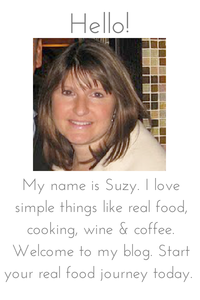 Follow Suzy Supnet 's board Real Food Simple on Pinterest.